David Harris is calling it a career. 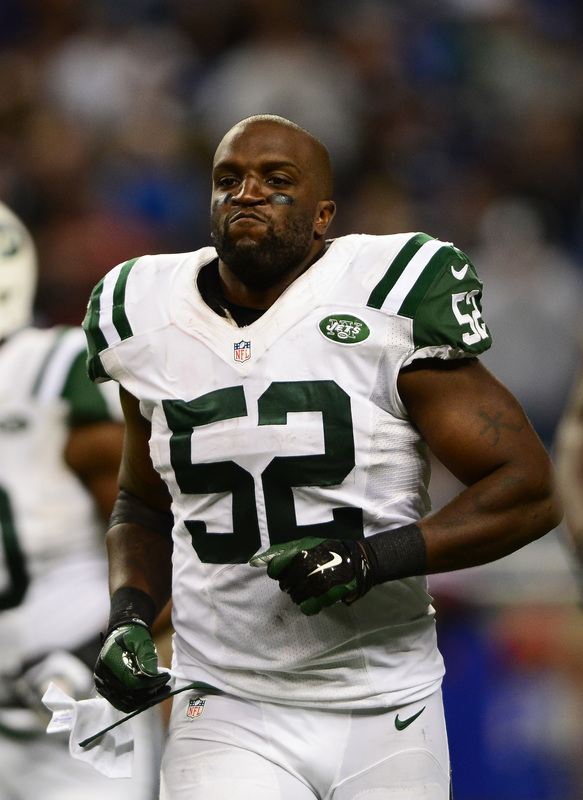 The former Jets and Patriots linebacker announced on Friday that he is retiring from the NFL. “After 11 years of having played the greatest team sport at its highest level, it’s now time for me to announce my retirement from the NFL,” Harris said in a statement provided by his agency. Harris signed a two-year, $5MM deal ($1.25MM guaranteed) with the Patriots in June after he was dropped by the Jets in June. The team’s decision to release Harris came as a surprise given the timing of the move. Unable to take advantage of the first or even second wave of free agency, Harris signed a relatively modest deal with New England, giving him a chance to win a Super Bowl while getting some revenge on his former team. From a football perspective, Harris’ second act with the Patriots was not a rousing success. The 34-year-old saw only 181 snaps during the regular season thanks to his decreased speed and lack of ability to drop back in coverage. Still, he was retained throughout the year for his leadership skills and the Patriots did reach the Super Bowl with him on the roster. Harris spent ten years with the Jets after joining the team as a second-round pick in 2007. His 147 career starts in green are good for sixth all-time in franchise history. Of course, the Chargers are losing the battle for Los Angeles at the moment, leading some to speculate that the league could choose to reverse course and ship the Bolts back from whence they came. Mike Florio of Pro Football Talk also suggests that Lockhart’s quote is not as unequivocal as it could be; Lockhart said there have been no discussions about a return to San Diego, not that a return will not happen. Plus, Florio points out that the Chargers source who spoke with Rapoport did so anonymously, which creates the impression that there’s something sensitive about the notion that the Chargers aren’t looking back. That may be a bit of a reach, particularly since San Diego still does not have a stadium option, which prompted the move in the first place. Anything can happen, of course, but as of right now, it does not look as if the Chargers will be leaving LA. 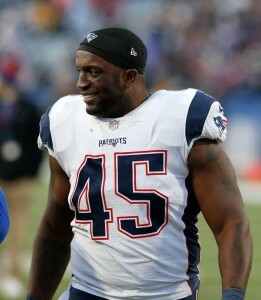 Patriots linebacker David Harris, whom the team signed to a two-year, $5MM deal ($1.25MM guaranteed) in June, has been active for four of New England’s five games but has played in only seven defensive snaps. He is behind four other players on the LB depth chart, leading Mike Reiss of ESPN.com to speculate that, without a significant injury to another player, Harris’ job could be in jeopardy. Reiss cites Harris’ lack of speed as the primary reason for his lack of playing time. After starting the season 2-0, the Ravens have looked awful in their following two games against the Jaguars and Steelers, making today’s matchup the Raiders almost a must-win. As usual, quarterback Joe Flacco has been a popular whipping boy for the team’s struggles, despite the rash of crippling injuries to the O-line, the lack of a running game, and the lack of imagination in play-calling. But it is clear that something has to give, though if Baltimore were inclined to release Flacco — and Jeff Zrebiec of the Baltimore Sun suggests that thought is not on anyone’s mind at the moment — it would likely not happen until 2019 at the earliest. At that point, if Baltimore continues to struggle, the Ravens could have a whole new coaching staff. It is worth noting, as Zrebiec does, that the one time in Flacco’s career that he has worked with an accomplished offensive coordinator (Gary Kubiak in 2014), he enjoyed the best season of his career, even though the talent around him was not much better than it usually is. Although Browns fans may not like to hear it, Terry Pluto of the Cleveland Plainer Dealer believes that Cleveland’s front office is going about building the team the right way. It is stockpiling picks, limiting free agent spending, and some young players are developing as hoped. There have, of course, been some missteps in terms of personnel evaluation, but Pluto suggests the coaching staff is as much to blame for the team’s 1-19 record over the last 20 games as the front office. He says the only thing to do is to stay the course and continue to focus on the draft, though the team will likely need to spend more in free agency than it originally expected. It may also need to reevaluate DeShone Kizer sooner than it hoped. The Dolphins still haven’t offered contract year wide receiver Jarvis Landry a new deal, but 24-year-old slot weapon isn’t worried about the lack of negotiations. “The number I may want may not be the number the team is willing to give me,” Landry told Barry Jackson of the Miami Herald. “It’s about finding that negotiating price that works for both parties. Unfortunately, I haven’t gotten offers. But when the process starts, I want nothing less than what I deserve.” Landry ackowledged he would accept the franchise tag in 2018, although Miami is unlikely to extend an offer — even over one year — of $15MM+ for a slot receiver. Head coach Ben McAdoo intends to retain control of the Giants‘ offensive play-calling, sources tell Ian Rapoport of NFL.com. Of course, that report was filed before New York fell to 0-3 with a loss to the Eagles today, but Big Blue’s offense played well in the second half, as Eli Manning completed three touchdown passes (two to Odell Beckham Jr. and one to Sterling Shepard). However, the Giants coaching staff is “turning up the temperature” on the New York players, and that intensity only figures to increase now that the club remained winless today. Veteran linebacker David Harris had played all of three defensive snaps heading into today’s game, and that’s largely due to the Patriots‘ defensive formations, as Mike Reiss of ESPN.com writes. New England used mostly nickel and dime looks against the Chiefs and Saints in Weeks 1 and 2, respectively, and given that Harris is behind Kyle Van Noy and Elandon Roberts on the defensive depth chart, he didn’t see much action. That could conceivably change if the Patriots use more base looks, but Harris is mostly a run-stopper at this point in his career. The Patriots signed former Vikings quarterback Taylor Heinicke to their practice squad last week, a sign that New England wants to develop him for the long haul, as Reiss details in a separate piece. New England didn’t have a quarterback on its practice squad in either 2014 or 2015, so the addition of Heinicke likely speaks about the prospect himself, per Reiss. From Heinicke’s point of view, the opportunity to learn under Bill Belichick and Tom Brady was “too enticing to pass up,” a source tells Reiss. As part of the 2016 trade that sent cornerback Eric Rowe to New England, the Eagles will see their fourth-round return upgraded to a third-round pick if Rowe plays in 50% of the Patriots’ defensive snaps in 2017. Jimmy Kempski of Philly Voice examines where that deal stands, and whether the possibility of acquiring a third-rounder lessened the pain of sending a 2018 third-round pick to Buffalo for fellow corner Ronald Darby earlier this year. Although Josh McCown is the heavy favorite to open the 2017 season as the Jets‘ starting quarterback, Gang Green’s signal-caller competition hasn’t been resolved just yet, as Rich Cimini of ESPN.com writes. Given that head coach Todd Bowles is unquestionably on the hot seat — and needs victories to retain his job — New York could be loathe to bench McCown if the club gets off to an (admittedly unexpected) fast start. In such a scenario, second-year quarterback Christian Hackenberg might not get the type of long audition period required to show Jets management if they need to find another passer. Although Jets linebacker Lorenzo Mauldin was arrested on assault charges last month (and is facing a civil suit stemming from the same incident), he’s not expected to face a suspension until at least 2018, according to Brian Costello of the New York Post. Mauldin is accused of punching a man in a New York nightclub in early April, and allegedly broke several bones in the man’s face. A third-round pick in 2015, the 24-year-old Mauldin hasn’t registered much production thus far in his NFL career, as he’s managed only 6.5 sacks as a backup in two seasons. Given that the Patriots are only likely to retain six wide receivers on their initial roster, veteran Andrew Hawkins doesn’t seem likely to make the squad, as Mike Reiss of ESPN.com details. Hawkins signed a one-year, minimum salary benefit deal with New England over the offseason, so the club will experience a minimal dead money hit if it cuts ties. Brandin Cooks, Julian Edelman, Chris Hogan, Danny Amendola, Malcolm Mitchell, and special-teamer Matthew Slater are Patriots roster locks, per Reiss, so there’s no room for Hawkins barring an injury. New Patriots linebacker David Harris will earn a base salary of $1MM in 2017, reports Miguel Benzan of PatsFans.com (hat tip: Reiss). He can also bring in $500K in per-game roster bonuses, plus another $750K via incentives. In 2018, Harris is scheduled to make a $1.75MM base salary, plus $500K in per-game roster bonuses, and $1.05MM via incentives. As previously reported, Harris also received a signing bonus of $1.25MM. While Preston Brown, Lorenzo Alexander, and Ramon Humber served as starters during minicamp, the Bills‘ linebacking corps battle is “wide open,” per Canio Marasco of BuffaloBills.com. Reggie Ragland, the club’s second-round pick a year ago, missed his entire rookie campaign with injury, but could be in line for playing time in 2017. Buffalo also signed veteran Gerald Hodges, who posted excellent results with the 49ers last season, to a low-cost deal. Jabrill Peppers is one of only 11 2017 draft choices who has yet to sign his rookie deal, and offset language is likely to blame for the contractual holdup with the Browns, as Mary Kay Cabot of Cleveland.com writes. Offset language, as a reminder, can allow a player to “double dip” if he’s waived by his original club, as it enables him to collect a salary from a new team without that total being offset. Neither of Cleveland’s other two first-round picks — defensive end Myles Garrett and tight end David Njoku — were able to remove offset language from their deals, so the Browns are likely attempting to maintain precedent with Peppers. New signee David Harris is nearly a lock to make the Patriots‘ roster after agreeing to a two-year, $5MM deal last week, as Mike Reiss of ESPN.com explains in a pair of articles. More of a luxury addition than a need-based signing, Harris is likely to play in base formations alongside fellow linebacker Dont’a Hightower. The former Jet can also serve as insurance for Hightower, who hasn’t played a full 16-game slate since 2013. Meanwhile, Harris’ signing doesn’t figure to materially affect the role of other New England ‘backers such as Shea McClellin, who will still be working primarily in the passing game. If Blake Bortles struggles to begin the 2017 season, the Jaguars could choose to employ the Robert Griffin III treatment: pluck Bortles on the bench so an injury doesn’t require the club to pay its quarterback nearly $20MM in 2018 under the terms of his fifth-year option, per Michael DiRocco of ESPN.com. Fifth-year options are guaranteed for injury only, meaning Jacksonville could cut Bortles before the 2018 league year unless he can’t pass a physical. Washington didn’t allow RG3 to see the field in 2015 for fear that an injury would cost it significant money. The Patriots gave David Harris more money than the Jets were offering on a reduced deal, a source tells Mike Florio of Pro Football Talk. Harris agreed to a two-year, $5MM deal with the Pats on Wednesday morning, giving the veteran linebacker a chance at winning his first ever Super Bowl. Florio also hears that the terms of Harris’ deal were already agreed upon before he touched down in New England. The purpose of the Wednesday visit was to ensure that it was a good fit for both sides and it didn’t take long for everyone to feel comfortable about the union. There has been lots of speculation about the Jets tanking in 2017 to land a top quarterback in the 2018 draft, but don’t expect defensive end Sheldon Richardson to go along with that plan. “I mean, I don’t tank nothing,” Sheldon Richardson told Darryl Slater of NJ.com. “So that’s all opinions outside of this organization. We don’t come here — and we’re not going to go through training camp, and have 14-hour days — to go tank a season. I’ll be damned.” Richardson, 27 in November, is entering a contract year, so he has every reason to bust his behind this fall. He recently expressed interest in staying with Gang Green, but that feeling might not be mutual. When the Patriots were exploring the idea of signing Damien Williams this offseason, the running back kept in contact with the Dolphins throughout the process, ESPN.com’s James Walker writes. Ultimately, the Pats signed Mike Gillislee instead, another restricted free agent running back from an AFC East rival. When things didn’t pan out with New England, Williams signed his one-year, $1.8MM tender, a deal that marks a significant pay bump from his 2016 salary. Williams says he’s excited to continue playing in Miami. This year could mark a changing of the guard for the Jets at running back, USA Today’s Scott Pitoniak writes. Matt Forte, 32 in December, could wind up on the short end of a timeshare with Bilal Powell, a promising tailback entering his age-29 season. Beyond 2017, that could impact Forte’s future with the Jets. The veteran is under contract through 2018, but the Jets can cut him next offseason and save $3MM against just $1MM in dead money. The Patriots have agreed to sign former Jets linebacker David Harris, as ESPN.com’s Adam Schefter tweets. It will be a two-year, $5MM deal for the veteran with $1.25MM guaranteed, Albert Breer of The MMQB tweets. He can also earn up to $1.75MM in incentives. Harris, 33, was cut loose by the Jets this offseason as a part of their rebuilding effort. Until now, he spent his entire career with Gang Green dating back to 2007, meaning that he only got to be a part of two playoff runs. Now, Harris is joining a bonafide contender and could have a real chance at capturing a Super Bowl ring before his career is through. The Patriots now have an even stronger linebacker group than before. Harris joins fellow veterans Shea McClellin, Dont’a Hightower, Rob Ninkovich, Elandon Roberts, and Kyle Van Noy, not to mention third round pick Derek Rivers. Depending on how many linebackers the Patriots plan on taking into the season, the signing could put Rutgers product Jonathan Freeny on the bubble. As Schefter notes (on Twitter), this is just the latest instance of the Patriots swooping in on an AFC East standout. Between this offseason and the last one, the Pats have added Harris, cornerback Stephon Gilmore, running back Mike Gillislee, and wide receiver Chris Hogan. In his tenth season with the Jets, Harris appeared in 15 games and played on 86.8% of the club’s defensive snaps. In that time, Harris managed 94 tackles, two passes defensed, and a half-sack, while grading out as the league’s No. 35 linebacker, per Pro Football Focus. Harris started 147 contests during his whole Jets tenure, placing him sixth all-time in franchise history. Veteran linebacker David Harris is not planning to retire after being released by the Jets last week, according to Rich Cimini of ESPN.com. Harris, 33, was cut loose by New York as Gang Green continues its rebuilding effort, but as Harris’ agent suggested last week, Harris has already drawn interest from other clubs. As far as speculative fits for Harris, Cimini lists the Browns (who recently traded Demario Davis back to the Jets) and the Chargers, led by former New York staffer Anthony Lynn, as potential destinations. The Chiefs, Raiders, Giants, and Packers also stand out as possible landing spots, though that’s simply my own speculation. 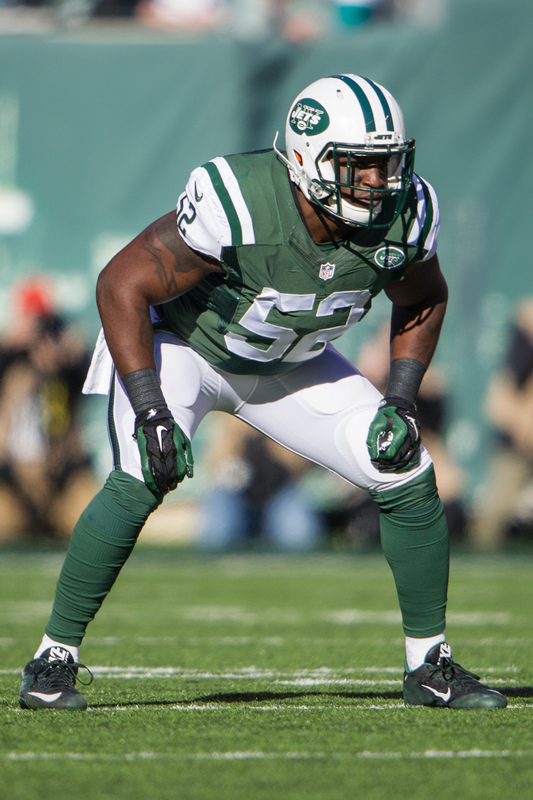 In his 10th season with the Jets, Harris appeared in 15 games and played on 86.8% of the club’s defensive snaps. In that time, Harris managed 94 tackles, two passes defensed, and a half-sack, while grading as the league’s No. 35 linebacker, per Pro Football Focus. He had been scheduled to earn a base salary of $6.5MM in 2017. With Tom Brady entrenched under center, there’s no path to immediate playing time in New England for Garoppolo, though the former is in a race against time as he goes into his age-40 season. While the Patriots would like to keep Garoppolo and have him eventually take over for Brady, preventing him from hitting free agency next offseason might not be realistic if Brady‘s excellence continues. There’s no indication an extension is coming, per Mike Garafolo of NFL.com, but Mike Reiss of ESPN.com suggests the Patriots should take a proactive approach and offer the signal-caller a one-year, $24MM extension now. If Garoppolo were to accept it, the Pats would be able to spread the money over the next two seasons. Otherwise, should the team place the franchise tag on Garoppolo next year, it would potentially have a backup QB occupying $24MM in cap space. The Jets are going to release linebacker David Harris, but they did try to get the 10-year veteran to take a pay cut before deciding to part with him, reports Rich Cimini of ESPN.com (on Twitter). Harris’ camp is unhappy with the Jets, though, because there were no negotiations about a reduction in pay before the offseason began in earnest, tweets Garafolo. Agents Brian Mackler and Jim Ivler told Garafolo they’re “very disappointed in the timing of this event and the decision. The Jets could’ve done this prior to free agency instead of waiting three months, especially for a player who has exhibited nothing but loyalty and class for 10 years.” It doesn’t seem as if Harris will go without a job for long, as he is already drawing interest from other teams, Mackler informed SiriusXM NFL Radio (Twitter link). The Raiders’ forthcoming move to Las Vegas inspired Marshawn Lynch to come out of retirement and join the franchise as its time in Oakland nears an end, the running back told media on Tuesday (Twitter links via SiriusXM NFL Radio and Michael Gehlken of the Las Vegas Review-Journal). Lynch, an Oakland native, expressed regret that “a lot of Oakland kids won’t have the opportunity to see their idols play football anymore.” The Raiders are down to their final two or three years in Oakland and will head to Vegas in 2020. Lynch won’t make that trek, it seems, as he’s already 31 and only under contract through next season. The Ravens could be the next destination for soon-to-be former Jets wide receiver Eric Decker, according to Jason La Canfora of CBS Sports (Twitter link). For now, the receiver-needy Ravens are scheduled to meet with free agent wideout Jeremy Maclin on Wednesday, but he’s currently in Buffalo and won’t make it to Baltimore if the Bills are able to close the deal tonight.